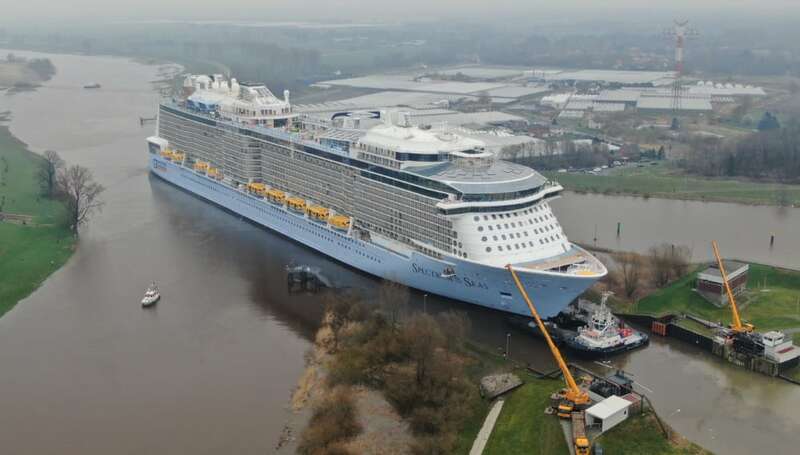 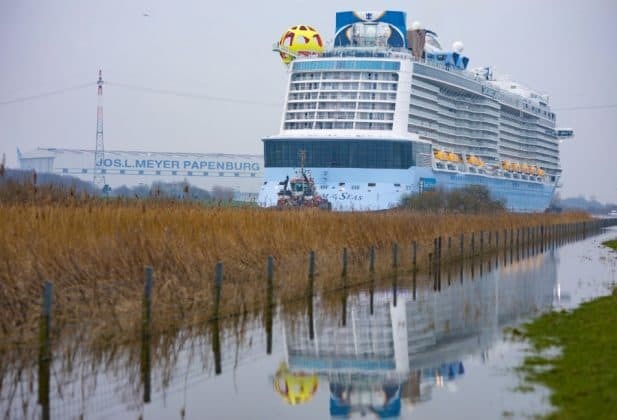 If you’re a cruise addict then you’ll probably know that any new cruise ship constructed at the popular Meyer Werft shipyard in Papenburg, Germany needs to make its way up the Ems River to depart. 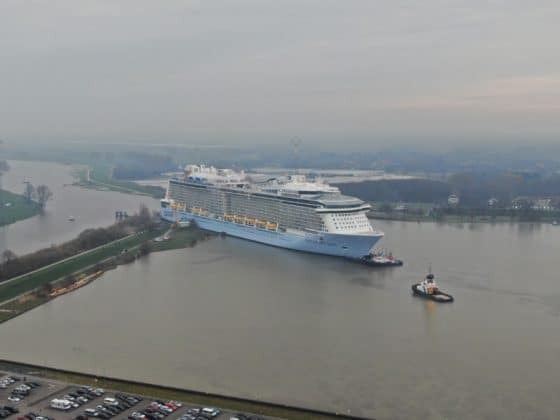 After a delay due to weather, Spectrum of the Seas finally started her conveyance in the early hours of Wednesday morning. 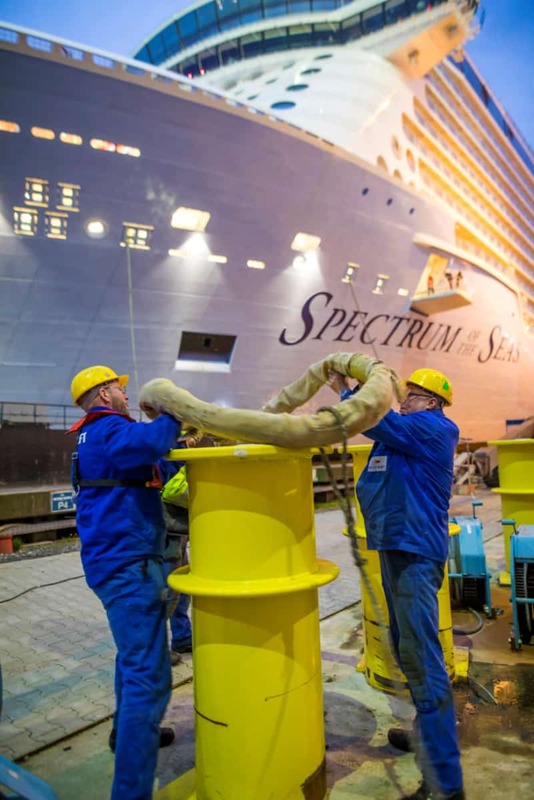 Take a look at the first official complete photos of Spectrum of the Seas right here. 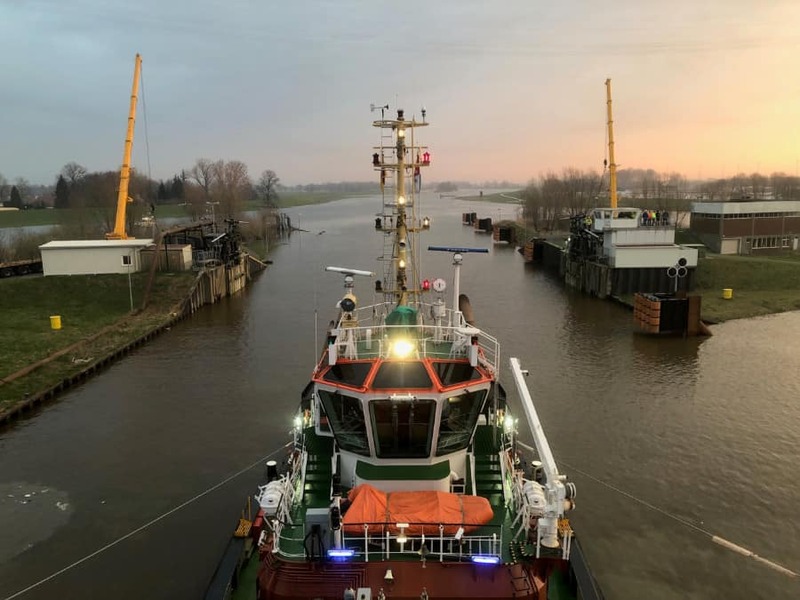 The first Quantum ultra class vessel departed the shipyard for the final time and today is making her way very slowly and precisely up the Ems River going under bridges and through locks with just inches to spare. 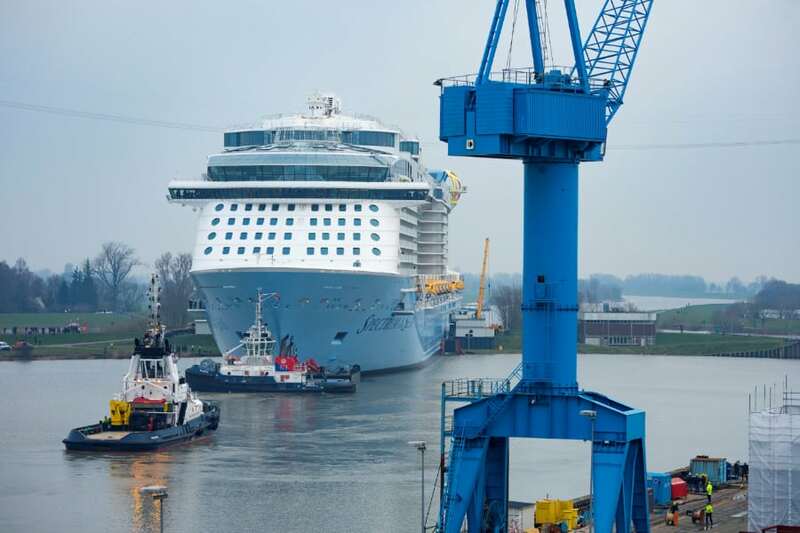 It is a very detailed process across two days. 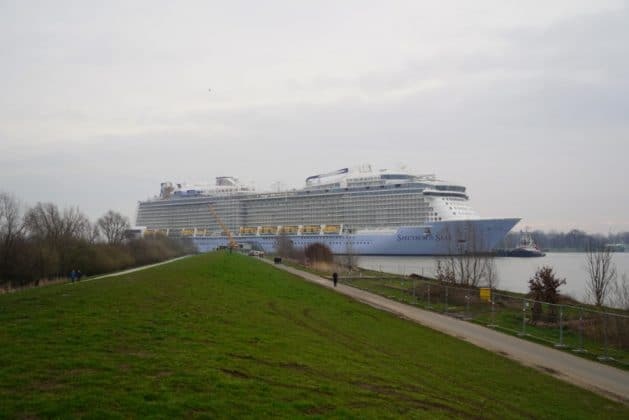 After midnight on Thursday the large cruise ship will pass through the Ems River barrier and several hours later she will finally arrive at Eemshaven in the Netherlands. While there, Spectrum of the Seas will go commence sea trials and continue the outfitting phase. 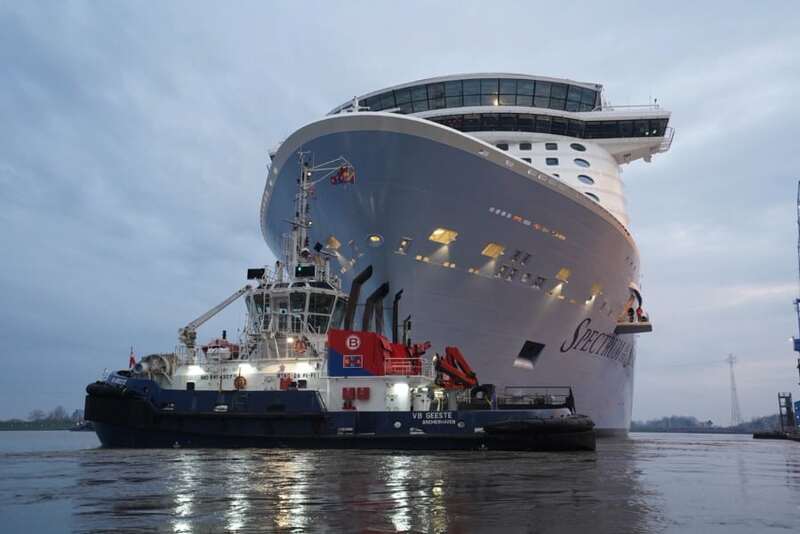 Crew members will also start to arrive at the ship in preparation for the maiden voyage in April. 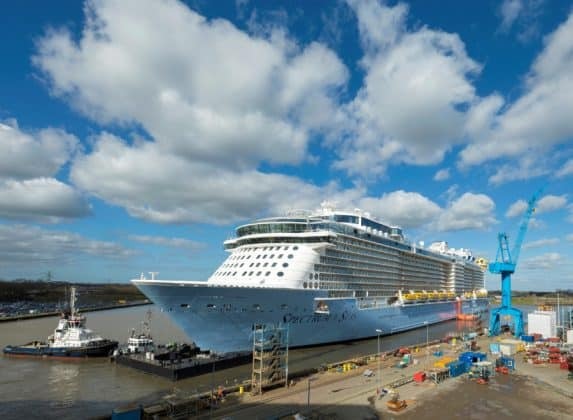 With the final touches in progress, the new Royal Caribbean cruise ship will soon be ready for the Chinese market. Unfortunately, those in the U.S. won’t be able to experience her but let’s hope in the future. 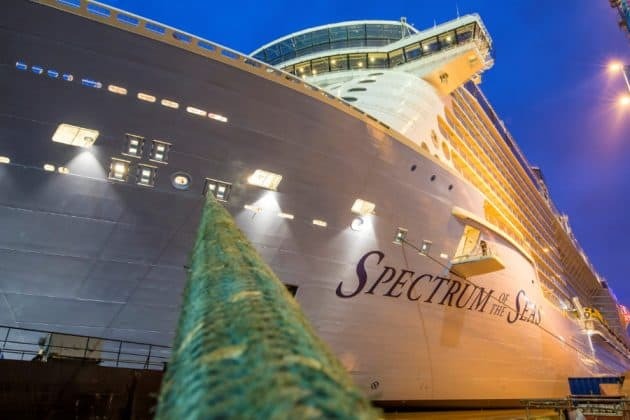 Spectrum of the Seas which has been purpose-built for the Chinese market is 169,300 gross tons with a guest capacity of 4,188 at double occupancy. 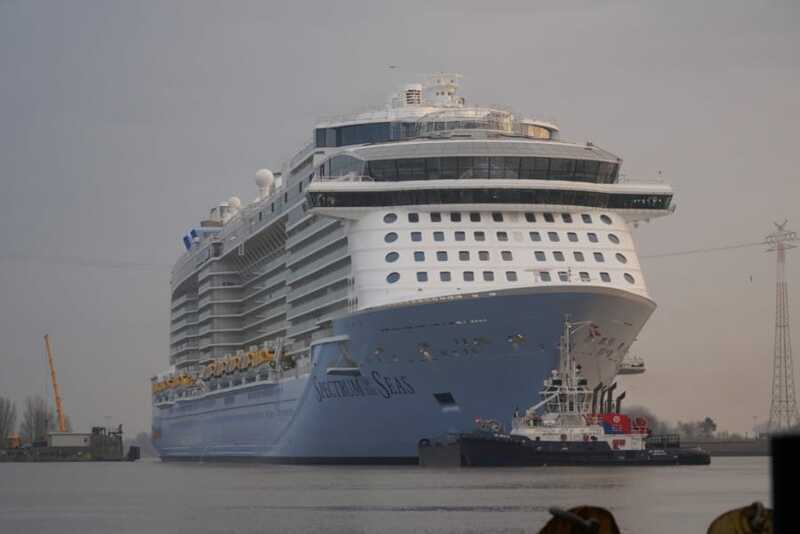 She is an evolution o the Quantum-class ships such as Quantum of the Seas which is currently based out of China. 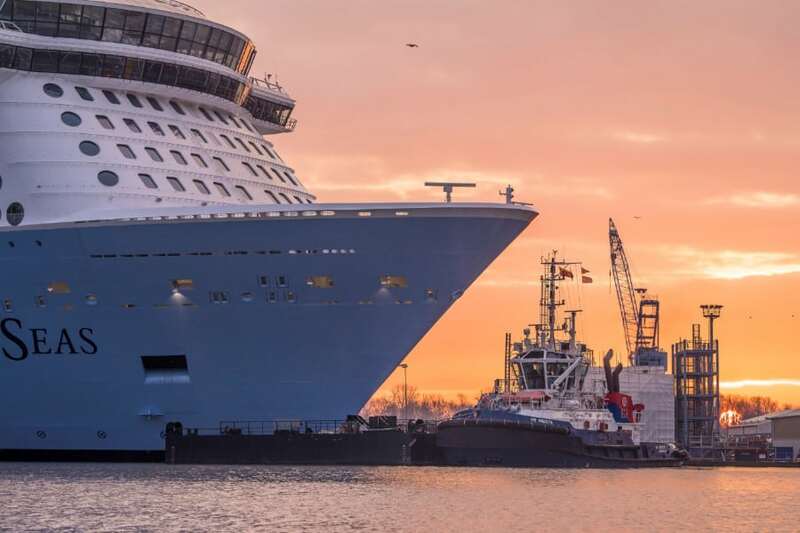 The new ship will debut on April 18, 2019, from Barcelona, Spain. She will start with an impressive 51-day Global Odyssey voyage including calls in 13 countries and ending in Shanghai. The ship will begin sailing from Shanghai in June 2019 including new calls to Hakodate and Niigita, Japan; Ilocos, Philippines; and Vladivostok, Russia.